[Taubah 9:23] O People who Believe! Do not consider your fathers and your brothers as your friends if they prefer disbelief over faith; and whoever among you befriends them – then it is he who is the unjust. [Taubah 9:62] They swear by Allah in your presence in order to please you; whereas Allah – and His Noble Messenger – had more right that they should have pleased Him if they had faith. [Taubah 9:63] Do they not know that for one who opposes Allah and His Noble Messenger, is the fire of hell, to remain in it forever? This is the greatest humiliation. [Taubah 9:68] Allah has promised the hypocrite men and hypocrite women and the disbelievers, the fire of hell in which they will remain forever; that is sufficient for them; and Allah’s curse is upon them; and for them is a never ending punishment. [Taubah 9:73] O Herald of the Hidden! Fight against the disbelievers and the hypocrites, and be stern with them; and their destination hell; and what an evil place to return! [Taubah 9:74] And they swear by Allah that they did not say it; whereas indeed they had certainly uttered the words of disbelief, and after having entered Islam turned disbelievers and had wished for what they did not get; and what annoyed them except that Allah, and His Noble Messenger, made them prosperous with His grace? So if they repent, it is better for them; and if they turn away, Allah will afflict them with a painful punishment – in this world and the Hereafter; and they will have neither a protector nor any supporter in the entire earth. Hazrat Makhdum Faqih Ali Mahimi Alaih Rehma’s honorable father Maulana Hazrat Shaikh Ahmad Sahib (Radi Allahu anhu) was learned and great scholar and saintly man. He lived in Kokan from the very beginning. He was of Arab origin * and comes of the descendants, of Hazrat Ja’far Tayyar (Radi Allah Anhu) Bin Hazrat Abi Talib (Radi Allah Anhu).His honourable father, having observed his smart son’s cleverness and liking for knowledge and learning, paid his attention to his higher education, as he, too, was a great scholar of Arabic language. He, therefore, helped his son Hazrat Makhdum Ali Faqih Mahaimi (Radi Allahu anhu) to become a scholar. 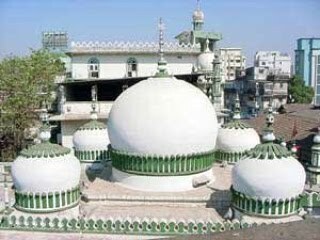 In his childhood, under the training of his father, Maulana Shaikh Ahmed Bin Ali (Radi Allahu anhu), Hazrat Makhdum Ali Faquih Mahaimi (Radi Allahu anhu) acquired full fledged knowledge of recitation of the Qura’n with correct phonetics, theology, logic, philosophy, Hadith and all other extra-religious fields of knowledge and traditionally reported sciences etcetera. The gracious mother of Hazrath Makhdum, Hazrat Bibi Fatima, too, was a perfect saintly woman. The gracious parents of Hazrat Makhdum (Radi Allahu anhu), through their training, polished and illuminated the God-gifted talents of their son, And by the favour and bounty of Allah, He became a writer of Quranic exegesis of high quality, a scholar of Holy Prophet’s Traditions, a theologian and a saint (Sufi), excellent and well versed in revelation and miracles. It is widely known that Hazrat Khizr (Alai Salaam), also, played a great role in his training. When Hazrat Makhdum (Radi Allahu anhu) was barely of nine years age, acquired all the branches of knowledge, external as well as celestial and the Islamic Jurisprudence. Thereafter, only a few days had passed when, on the 25th of Jamadil Akhir 785 Hijri, his honoured father Maulana Shaikh Ahmad (Radi Allahu anhu) Bin Ali breathed his last and left this material world for ever. After the death of his father, his thirst for knowledge and learning went on increasing. There was no source to quench this thirst, hence he came to his respected mother and said, Dear Mother ! My longing for knowledge has increased many fold. Here, I don’t find any source to satisfy my desire and longing for it. If you give me permission then, I would set out in search of the knowledge. The respected mother looked at the son for some time and then said. ‘My son! Your separation is unbearable to me. Allah, The Highest, is The Causer of the Causes. He, being the real doer of things, will make such a provision from unknown that it will be the source of satisfaction to your longing. The knowledge that is obtained through the divine favour is better than that acquired by any method of teaching and learning. So, the very night, his respectable mother prayed to Allah and her prayers were answered positively by Allah. As usual, after early morning prayer was over, Hazrat Makhdum Ali, went for a walk to the sea-side. While he was strolling on the coast of the sea, he saw a radiant faced elderly person sitting on a rock which was lying on the coast of the sea. He conveyed his salam (salutes) to him. The elderly man returned his salaams to Hazrat Makhdum Ali (Radi Allahu anhu) and expressed his happiness smilingly. Then, he said, ‘You are longing for acquiring divine knowledge, then you come here to me daily every morning and I will teach you. The things you wish to obtain through journeys to distant places, Insha Allah (If Allah so wishes), you will get the same here and here only. I am the Khizr. Allah, The Highest, has sent me to teach you. Don’t divulge this secret to anybody. The next day, when, as usual he went to the sea-shore he found that Hazrat Khizr Hayatun Nabi (Alaihis Salaam) was not there. He very much regretted and become very sorrowful and came to his mother. Hazrat Makhdum (Radi Allahu anhu), with tears in his eyes, said to his mother, “Dear Mother ! I had, against the instruction and warning of Hazrat Khizr, mentioned you the secret of his teaching. And, I think, most probably, being angry with me, he did not turn up today.” Don’t be disappointed, Allah, The greatest and The Most merciful, will send, again, Hazrat Khizr (Alaihis Salaam) for your sake. “The glorious mother prayed to Allah, that very night. 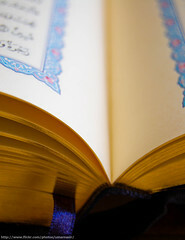 Consequently, the next day, at the time of the prayers of Asr, Hazrat Khizr (Alaihis Salaam) met him on the way and said,” You have got the inspired – knowledge by the order of Allah.” Then he took him to the sea-shore and having taken out a morsel of godly bounty from his own mouth, fed it to him and said. “Your glorious mother’s prayers are answered positively and you have achieved mastery over all the branches of knowledge by the favour of Allah.” When he was free from the evening prayers, he found his pure and clean bosom overloaded with all the branches of the knowledge.